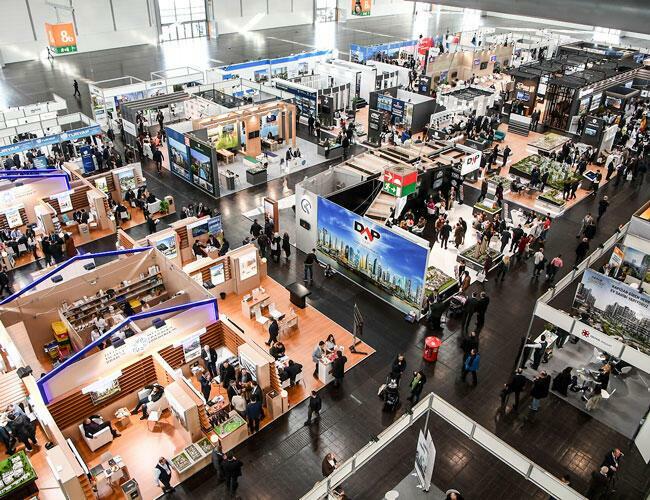 Thousands of Turks living in Germany and other European counties have visited “My Home Turkey Real Estate and Investment Fair” opened in the German city of Dusseldorf on Feb. 8. The three-day event is organized in cooperation with Demirören Media Group, İSTExpo Fuarcılık and supported by the Turkish Environment and Urbanization Ministry. Visitors formed a long line to in front of the venue where 76 developers showcase more than 100 projects in 15 Turkish provinces on a 4,900-square-meter fair area. Turkish expatriates said their dream is to own a house in their home country and the fair provides this opportunity. They said they heard about the real estate event in Düsseldorf through the announcement made by Turkish diplomatic missions and advertisements. Some visitors, who obtained information about the projects from company representatives, have already signed pre-sale agreements. Visitors show interest particularly in the real estate projects in Istanbul, İzmir and the popular tourist destination Antalya on the Mediterrenean coast. Some of the visitors also plan to travel to Turkey to see the projects on site. Behiye and Metin Köklü, a couple who have been living in Germany since 1991, said they had long planned to buy a house in Turkey in Istanbul or in the western province of Bursa. “The companies have good projects and offer good options. We looked at them and plan to buy a house,” they said. Another couple, Yasemin and Cihan Ergün, said that they were born in Germany but eventually plan to move to Turkey to settle there. Cihangir Tiryakioğlu, who learned about the fair through the announcement the Turkish consulate made, said he would travel to Turkey to see the project in person. Demirören Media Newspapers Advertising Group Chair Gürcan Korkmaz underlined that Demirören Media has been cooperating with the construction industry in a number of realestate projects. “With this fair we are creating a new market for the construction industry, which is the backbone of the Turkish economy, we also provide Turks living in Germany with new opportunities to invest in Turkey,” Korkmaz said. Korkmaz underlined that the interest in the fair is very satisfactory and said that more realestate fairs will be organized in other countries in Europe. People from different German cities and Turks living in other countries, including Belgium, the Netherlands, Sweden, the U.K., have come to visit the fair, according to İsmail Sezen, the general manager of İSTExpo. “This strong interest encourages us to launch the My Home Turkey fair again in the future,” Sezen said. A number of Turkish celebrities, including actors, actresses, and football players, also attended the fair, having conversations with the visitors, promoting the real estate projects. Pınar Altuğ and Tamer Karadağlı, who feature in Kanal D’s popular TV drama “Çocuklar Duymasın” (Children shall not hear), spoke with Turkish visitors about investment opportunities in Turkey. “This is an impressive event. People have shown strong interest in the fair. 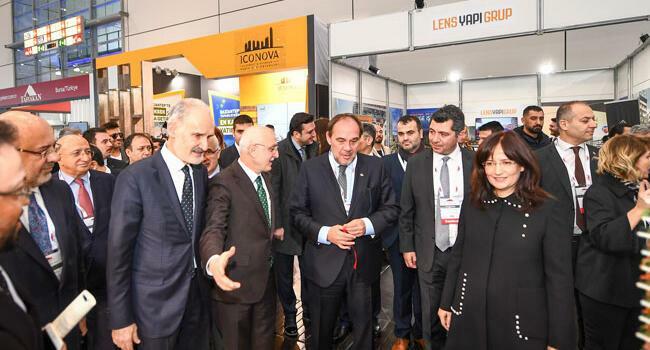 I will also look gather information on some the projects on display here,” Karadağlı said. The German actress Wilma Elles noted that the fair provides good investment opportunities. “I invest in real estate both in Turkey and Germany. I have already bought a house and a store in Turkey and their value have more than doubled,” said Elles.